A complete range of matching green and bronze leaf varieties perfect for main season sales. Strong germination and seedling vigor to optimize production from sow to finish. Very early flowering with a narrow bloom window for quick turns and bench-run production. 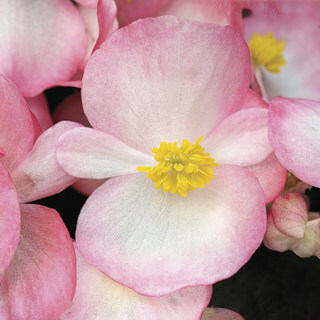 Compact, well-branched plants ideally sized for high density production in packs and small pots.